I. As, in the matter of salvation, it has pleased God to treat with man by the method of a covenant, that is, by a stipulation, or a demand and a promise, and as even vocation has regard to a participation in the covenant; it is instituted on both sides and separately, that man may perform the requisition or command of God, by which he may obtain [the fulfillment of] his promise. But this is the mutual relation between these two — the promise is tantamount to an argument, which God employs, that he may obtain from man that which he demands; and the compliance with the demand, on the other hand, is the condition, without which man cannot obtain what has been promised by God, and through [the performance of] which he most assuredly obtains the promise. Wesley as a happy Puritan written by Dr. Fred Sanders Although not a member of SEA, Dr. Fred Sanders draws some interesting parallels between Wesley and Jonathan Edwards and John Owen as well as J.I…. 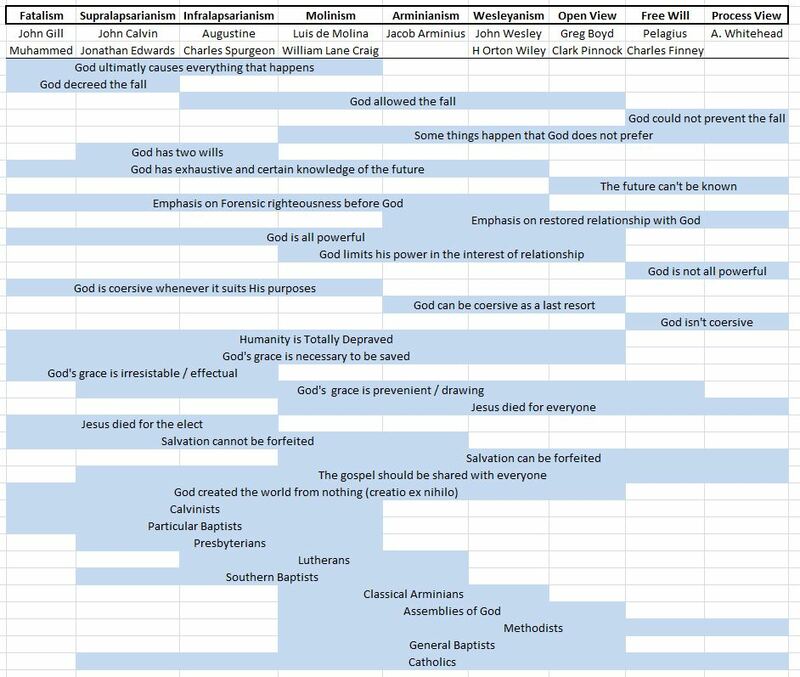 Here’s a chart that shows some of the differences and commonalities of various theological viewpoints as they relate to Calvinism and Arminianism. It’s not perfect, and is only intended to give a general idea of what the theologies emphasize as important. If the image is difficult to read, you can click on it to enlarge. Original post can be found HERE. 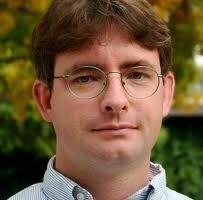 Click on the link to view Trevin Wax, “A Word to My Calvinist Friends,” which expresses his frustration with the type of condescension that he perceives often accompanies Calvinist passion for their position: http://thegospelcoalition.org/blogs/trevinwax/2012/08/28/a-word-to-my-calvinist-friends/.